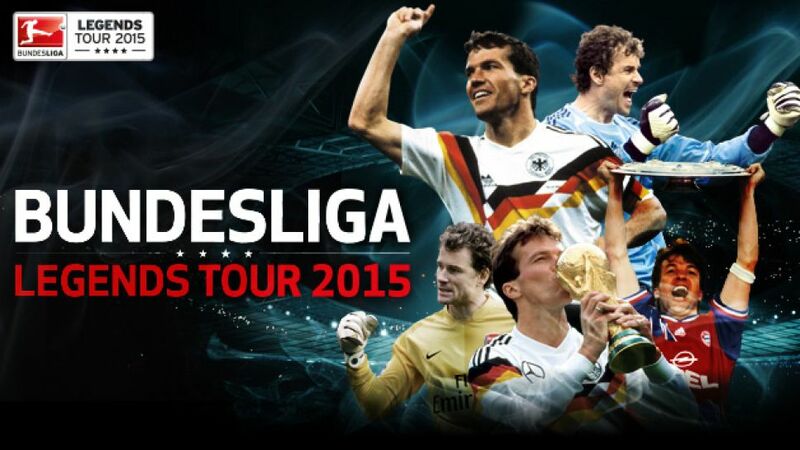 Frankfurt – To help kick off the opening weekend of the 2015-16 Bundesliga season, Bundesliga legends are heading to cities across the world for the 2015 Bundesliga Legends Tour. From 11 August to 16 August 2015, former Bundesliga players Jens Lehmann and Lothar Matthäus will be visiting New York City, Mexico City, Rio de Janeiro, Kuala Lumpur and Singapore to celebrate the start of the new season. Following the success of the inaugural Legends Tour in 2014 in Beijing with Bundesliga Legend Christoph Metzelder, the league is expanding the tour to reach the growing Bundesliga fan base around the world and bring the league closer to its fans. In each city, Lehmann and Matthäus will conduct media interviews, participate in fan activities and public viewings of opening weekend matches, and be featured as Bundesliga experts for matches broadcast across the family of FOX Sports networks. The 2015-16 season will serve as the first full year of the Bundesliga and FOX Sports partnership. Jens Lehmann, a two-time UEFA Club Goalkeeper of the Year who played for Bundesliga clubs FC Schalke 04, Borussia Dortmund and VfB Stuttgart, will be appearing at the tour stops in New York City on August 11/12, Mexico City on August 13/14 and Rio de Janeiro on August 15/16. Lothar Matthäus, FIFA World Cup Champion and former midfielder for Borussia Mönchengladbach and FC Bayern München, will join the tour in Kuala Lumpur on August 13/14 and Singapore on August 15/16. “The Bundesliga is growing internationally and I am looking forward to meeting Bundesliga fans at stops in Kuala Lumpur and Singapore to celebrate the quality of football being played in the League,” said Matthäus. The 2015-16 Bundesliga season kicks off on Friday, August 14 as Bayern München takes on Hamburger SV. The match will be broadcasted globally by FOX Sports. For more information on the Bundesliga and 2015 Legends Tour, visit www.bundesliga.com/en/home/.